For more than 15 years, The Spirit of 67 Foundation has hosted “Opening Doors for Education” home tours—elaborate and often labor intensive fundraisers to support programs and projects at Cherokee, Everett, and Sheridan Elementary schools (K-4) and Deer Path Middle School (5-8). The annual event became been a local favorite and contributed more than $1 million to important District 67 projects. But last year, the group decided it was time for a change. 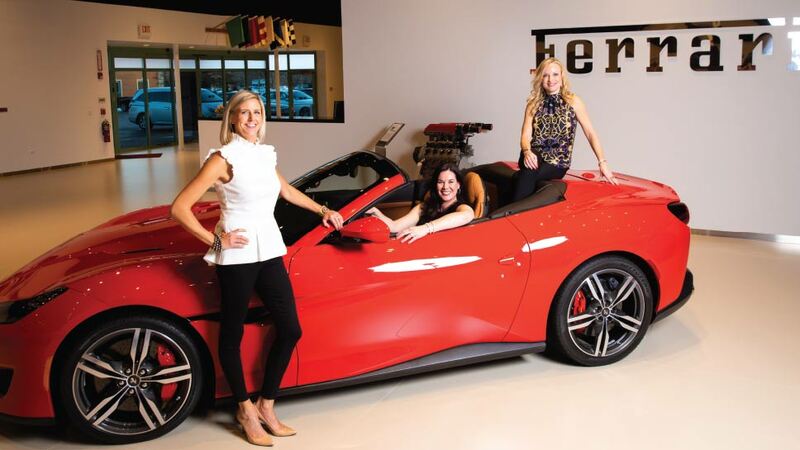 As promised, the Spirit of 67 Foundation will unveil a completely different type of fundraiser on April 26 at a local Ferrari dealership—a casino night that evokes all the glamour of Monaco. Edwina Smith, Jodi Brown, and Nancy Pienkosz (who were bedazzled with jewels on loan from A. M. DePrisco Jewelers of Lake Forest for our photo shoot). The money raised from the Spirit of 67 Foundation events goes to fund educational grants. Over the past 30 years, the Spirit of 67 Foundation has funded grants totaling more than $5 million. Every year students, teachers and parents come up with ideas to expand learning, enhance curriculum, improve technology, and promote emotional wellness. Last year alone, The Spirit of 67 awarded more than $288,000 with 24 grants. The “Opening Doors for Education” home tour will return next spring, when it will become a biennial event for the organization. The Spirit of 67 Foundation was founded in 1985 by a group of visionary parents and community members interested in funding excellence in Lake Forest schools. The mission of the Spirit of 67 Foundation is to raise funds and acquire resources to enrich and enhance the educational and cultural experiences of students, faculty, parents, and staff of Lake Forest School District 67 in ways that might not otherwise be provided. The event is open to all parents of students in District 67 and tickets are $167 per couple. For more information, visit spiritof67foundation.org.